Zildjian announced recently that they were digging through the vault to resurrect a few of their great (but currently discontinued) cymbals along with some prototypes that were never before released. The result: 10 great Zildjian cymbals at your disposal. The Zildjian Rarities are now being shipped to dealers across the country and will be available only a limited time. This is your chance to try some of these cymbals for the very first time but also your last chance to purchase some of them. Features: Extensively hammered to add body, personality, fast response and maximum chick. Weight: Top: Medium Thin, Bottom: Medium. Features: A fast, vibrant and extraordinary responsive cymbal that explodes with color. Features: Like its 16” sibling, this cymbal features a fast vibrant, and extraordinarily response. Features; A sizzling, sparkling ride sound. Bright, solid stick sound with a full, brilliant crash. Features: A buffed version of the Armand crashes offering new opportunities to the Armand Series fans. Extra fast and bright. Features: Extra fast, bright and shimmiring with a warm full blend of overtones. Features: Great fast response for clear accents. Features: Robust overtones with strong cut through properties. Features: A gnarly, earthy monster of ride with dry overtones and raspy voice. Features:Each personally signed by Steve Gadd. Only 500 available on an allocated basis. 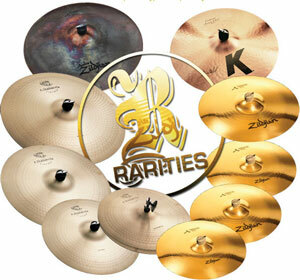 For more information about Zildjian products, visit www.zildjian.com.